Jamii Sacco is a membership Cooperative Society registered under the Cooperative Societies Act Cap 490 (Amended 2004) of the laws of Kenya and licensed by SASRA. The objectives for which the Society was established are to organize and promote the quality of life of the members by providing quality financial products and services. 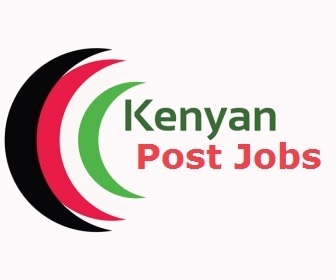 Reporting to the Manager, Human Resource & Administration the job holder plans, directs and coordinates the administrative support services of the SACCO namely: office services, working equipment, transport, mail and office allocation. · Support in the HR department ensuring planned programs and other activities are accomplished as per plan. · Support with the management of interns/attaches by ensuring ideal students are attached within the right departments with the required documentations. · Management of time sheets and leave plan for the year and provide monthly reports concerning the same. · Document human resources actions by completing forms, reports, logs and other records. · Implement human resources department and organization mission by completing related results as required. · Handle incoming and outgoing mail, deals with correspondence ensuring proper presentation and uniformity to corporate standards. · Support the Human Resource Manager in management of the Medical insurance cover and other insurance matters. · Ensure cleanliness, health and safety in the organization. · Ability to manage multiple priorities and meet required deadlines. · Ability to resolve conflicts arising in the work environment. · Tax compliance certificate from the Kenya Revenue Authority (KRA). The envelope clearly marked with the reference number should be received on or before Wednesday, 19th September, 2018 at 12.00 noon. Only short-listed candidates will be contacted. Jamii Sacco Society is an equal opportunity employer and any canvassing will lead to automatic disqualifications.